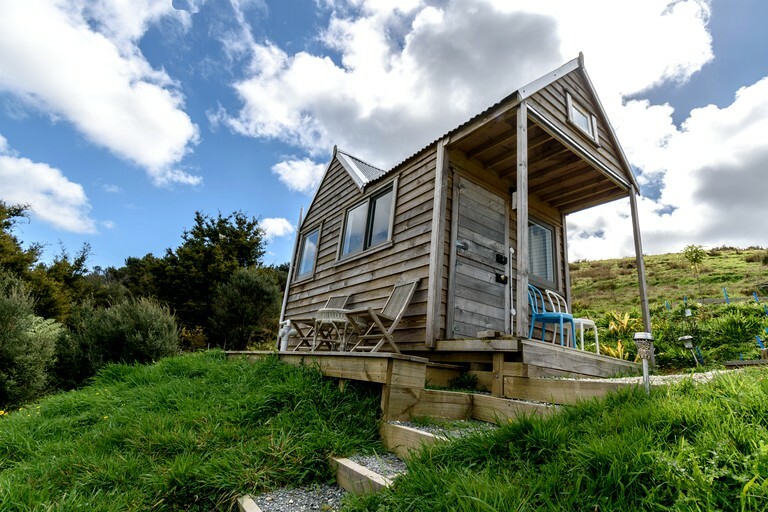 This eco-friendly tiny house is set on 31 hectares of beautiful hills and farmland is near the beach of Mangawhai, North Island. 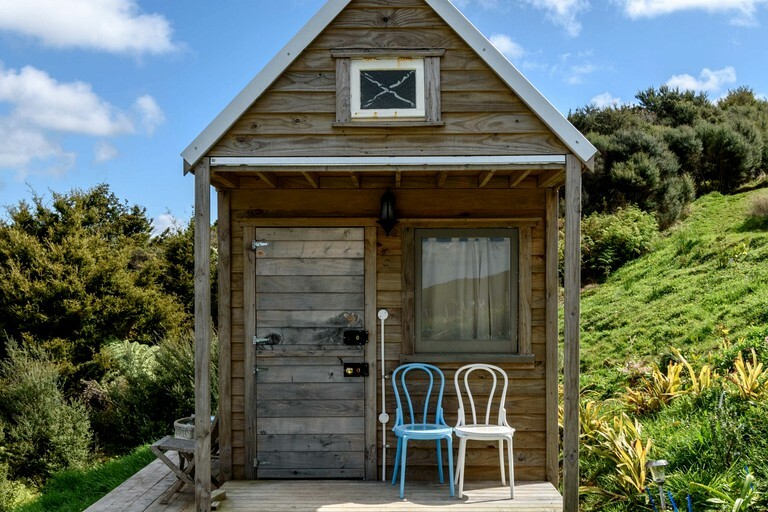 It is the perfect rental for a couples getaway in a secluded part of the world, but remaining close to some stunning areas of natural beauty and lots of fantastic activities. The rental has a full-size bed with all bed linens provided. The bathroom has been done up to reflect a high, modern standard, and it features a walk-in shower. The hosts have provided toiletries and towels for guests. 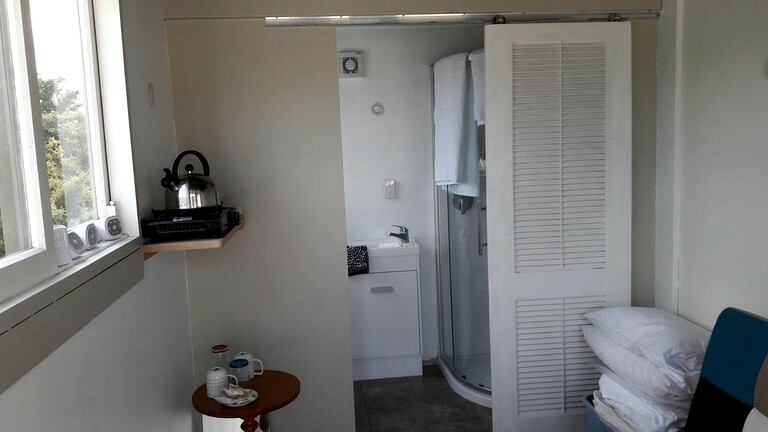 There are tea and coffee making facilities in the rental, and the hosts provide a delicious continental breakfast every day for guests. They can also provide pack lunches and dinners by request. 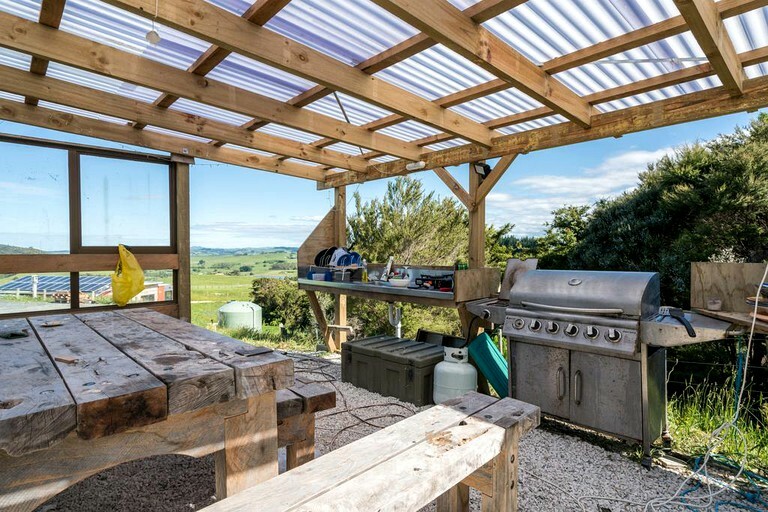 In addition, there is a shared barbequing area where guests can cook up a mouthwatering steak, or maybe even a freshly caught fish after a chartered sea fishing trip. 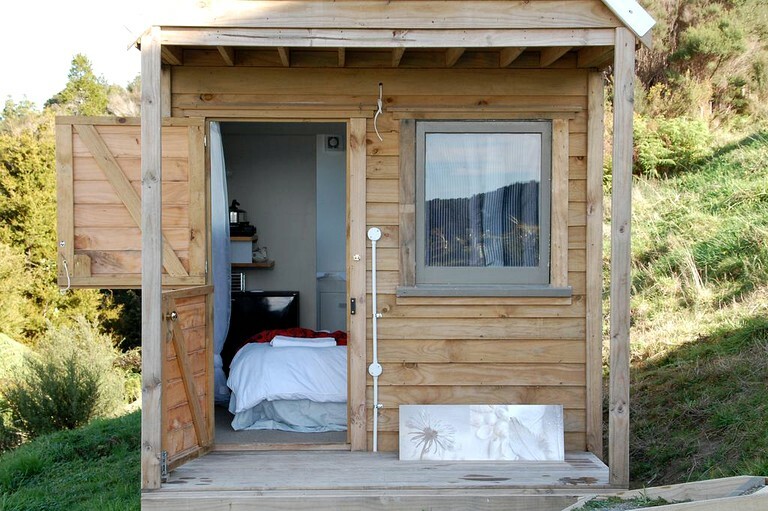 This ever-evolving, eco-friendly rental has all the amenities glampers could need to be sure of a comfortable stay. Guests have access to free Wi-Fi. There several common areas that guests have full access to. Guests are free to enjoy the grounds of the rental. 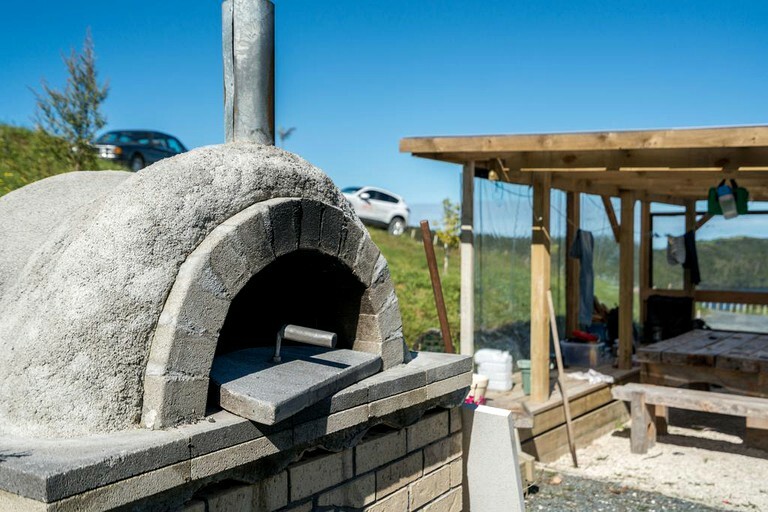 There are shared barbeque facilities, as well as a communal picnic area, and plenty of outdoor furniture. 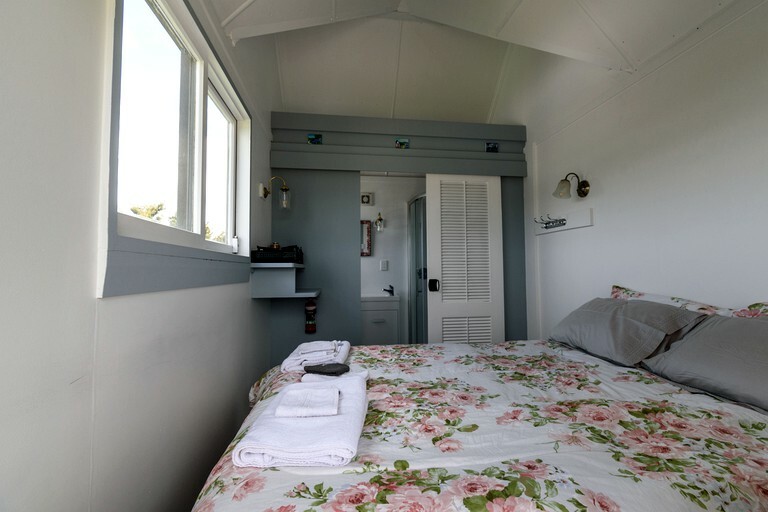 There is a shared lounge in the main lodge, and there are laundry facilities available. A continental breakfast is served daily at the main building. The hosts can arrange packed lunches for guests, and they can provide for special dietary requirements by prior arrangement. 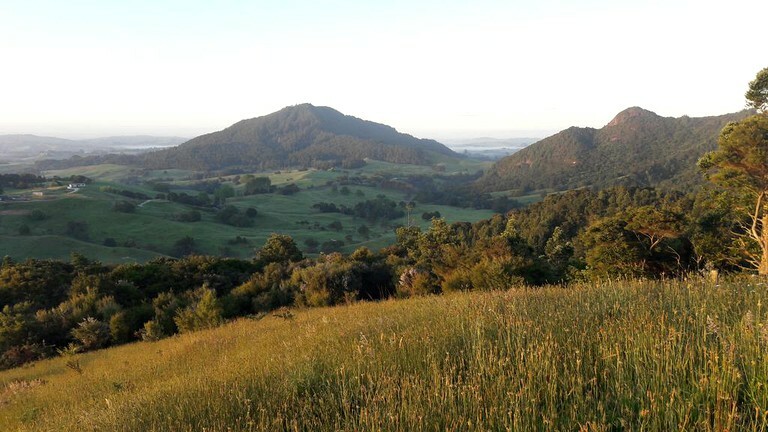 Being set in the hills and surrounded by incredible countryside, guests can hike and explore this stunning area. 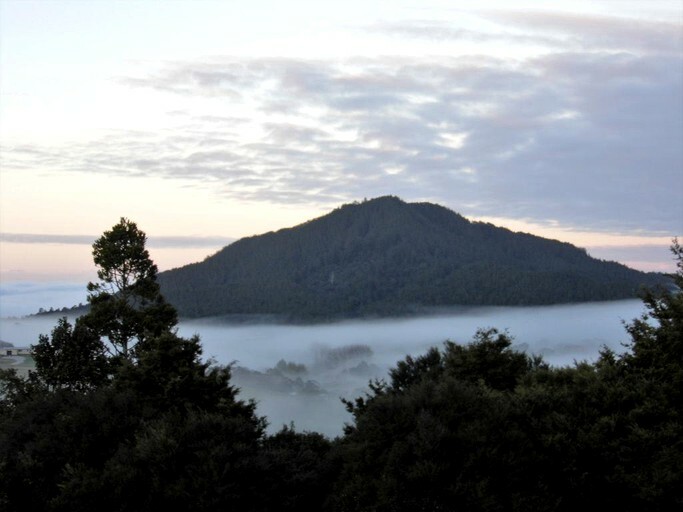 Guests can also enjoy exploring areas such as Atiu Creek, Tangihua Forest, or Piroa Falls. Piroa Falls is a stunning area where guests can climb over the rocks and swim in the pools while enjoying the idyllic setting they find themselves in. Mangawhai Heads Beach is a wonderful spot for guests to enjoy all sorts of ocean-based activities. Guests can enjoy surfing, kitesurfing, and windsurfing, as well as scuba diving, snorkeling, and paddleboarding. There are several charter companies that take guests out for some sea fishing. For any avid golfers, there is the Mangawhai Golf Club. 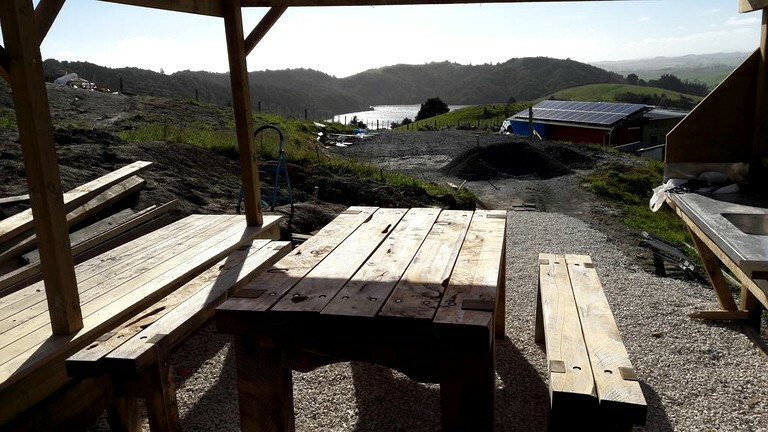 For an unusual take on winery tours, Wined About Bike Tours take guests around wineries, orchards, olive groves, a chocolate factory, art and craft venues, and other boutique outlets in the Mangawhai area. 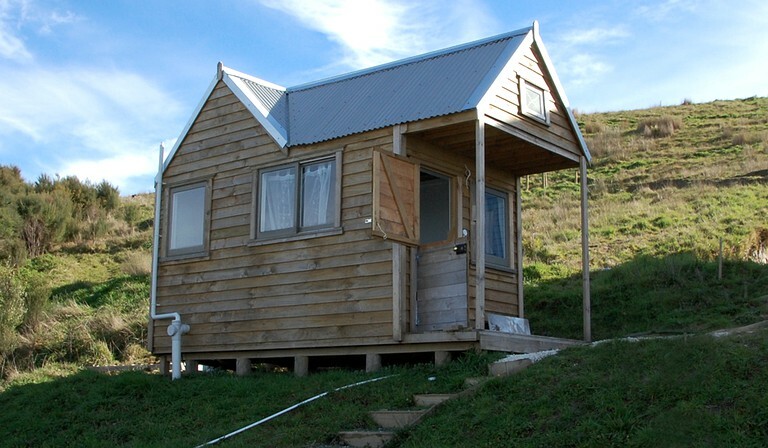 The price is $120 per night with a meal plan or $90 per night without meals.